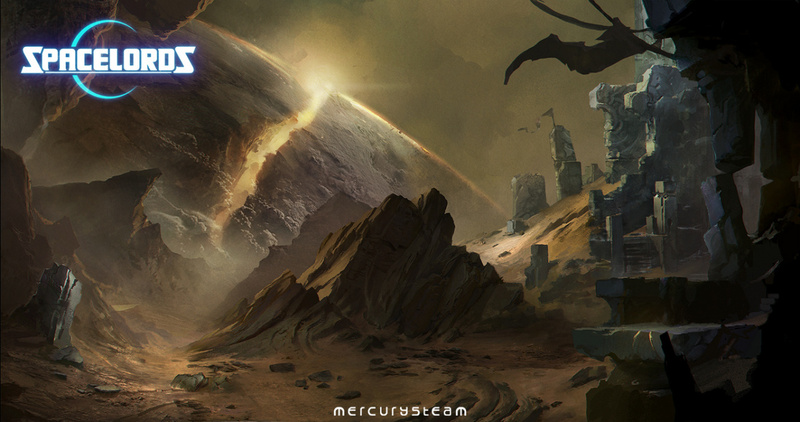 There is no other place in the Universe like the Broken Planet. 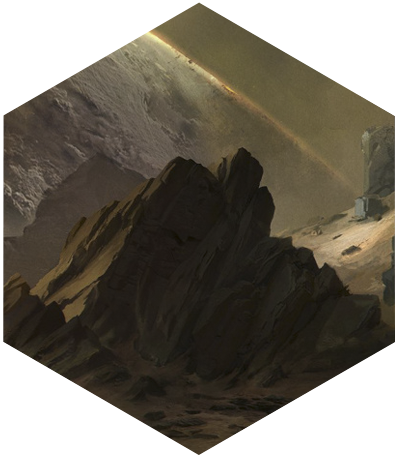 Located 25 light years far from Earth, it is the only planet which core naturally generates the powerful energy called Aleph. Far from being a blessing to the local civilization, the struggle for the Aleph devastated the planet and started their decline. Today, human invaders fight amongst themselves for the Aleph. Whoever controls it, will conquer the known Universe. 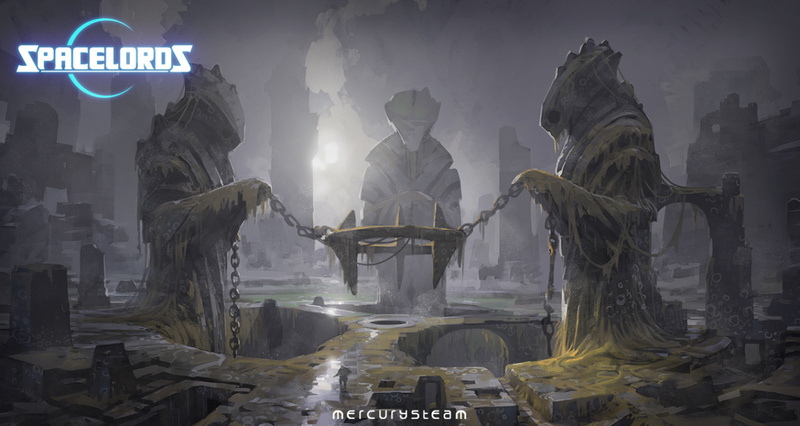 Harec guided his peaceful clan for many years until the humans arrived. They raided Harec’s village, exterminated every living soul, and left him for dead. 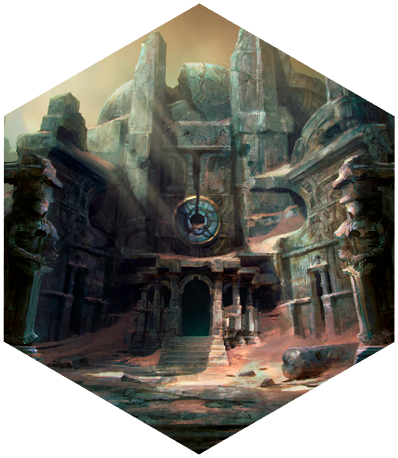 Harec managed to crawl to a nearby ruined temple to die, but the power of the temple regenerated his body and awoke an inner strength buried deep within; a strength that would drive him to avenge his massacred people. Harec has absolute control over his inner Aleph. At his command, the Aleph’s elemental particles recode his body into an ethereal flow that can fly and recompose itself physically wherever he wants. 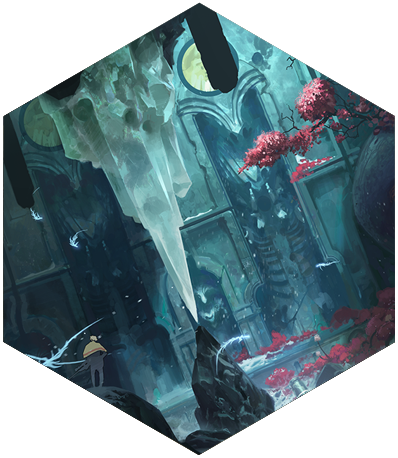 This way, Harec disappears before his enemies and re-appears anywhere nearby, even on walls and ceilings. This skill doesn’t make Harec invisible, but it enables him to await his enemies literally anywhere. 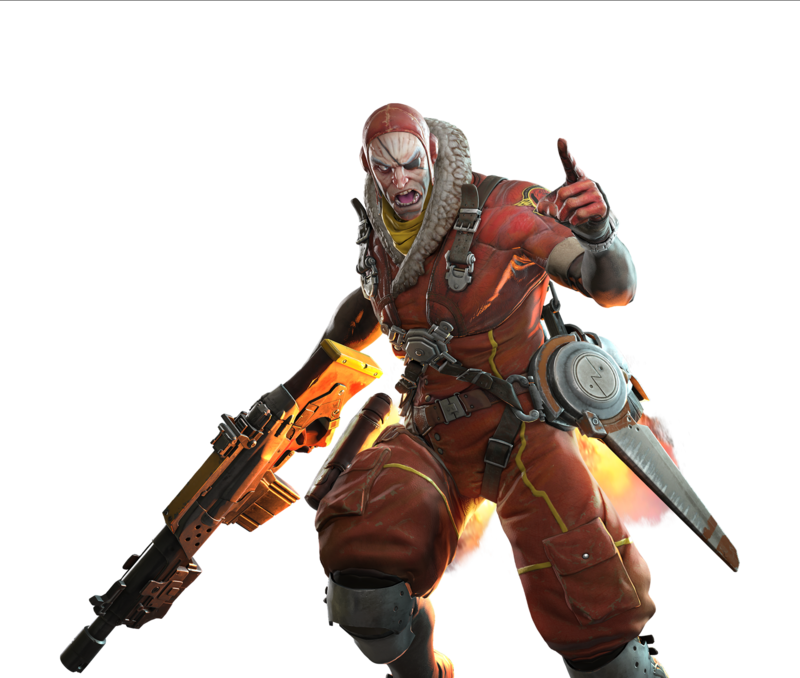 From the arsenal the humans brought to the Broken Planet, Harec prefers bolt-action sniper rifles. Harec uses the time between shots to infuse the bullets with Aleph, thus increasing their killing capacity tremendously. The Aleph trace left by the shots give away the shooter's, so Harec must change positions frequently if he doesn’t want to be located. Shae was the Custodia Prime of the mysteries and traditions of the aristocratic house of Rancidum Genus. Isolated from the reality of the lives of her people, Shae was unable to foresee the fall of her house to the humans until it was too late. Shae is adept at the ritual discipline of Mentis Nebula. Armed with it and with an iron will, Shae wants to return her house to its former glory. Shae never liked drawing attention. Maybe that’s why she developed that particular ability when the humans invaded her planet: Shae can focus and project her inner Aleph towards the enemy to obfuscate their senses, making them believe that she is not there, while giving her victims the certainty of being watched, and that death is imminent. Like Harec, Shae chose sniper rifles over the other weapons the humans brought to her planet. However, unlike Harec, Shae favours automatic plasma rifles with aim guidance systems. That way, she can focus her attention on charming her enemies with her ability, right before blowing their brains away. Iune was born with the gift: she was an Anhauarii, a weaver of Aleph capable of prodigious feats. 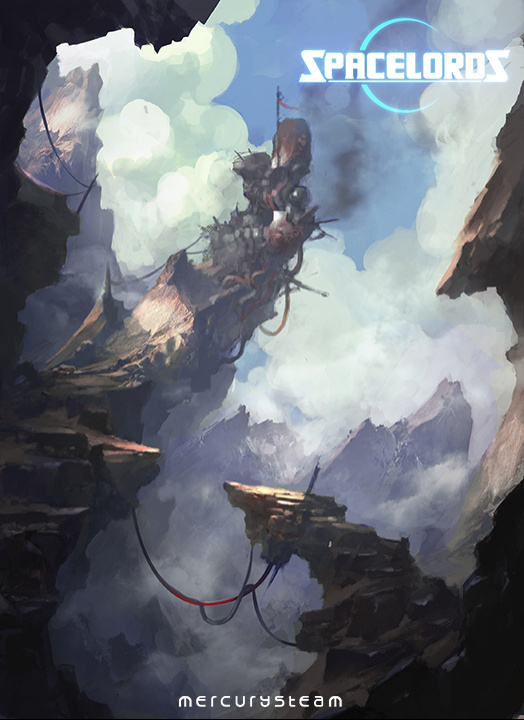 As established in the ancient law, Iune left her village to live as a hermit and perfect her skills, but then the Human invasion of the Broken Planet struck, and Iune was forced to forsake her peaceful ways and take arms against the invaders. Iune’s formidable powers allow her to subvert her enemies’ will, forcing them to turn against their own comrades, whilst healing herself and her teammates. As a weaver of Aleph, she can control and channel the Broken Planet’s energy to influence those near her. Iune favours long-barrelled hunting carbines, like her lovingly modified “Last Wish” H1, capable of delivering a steady rate of fire while maintaining considerable precision in mid to long ranges. 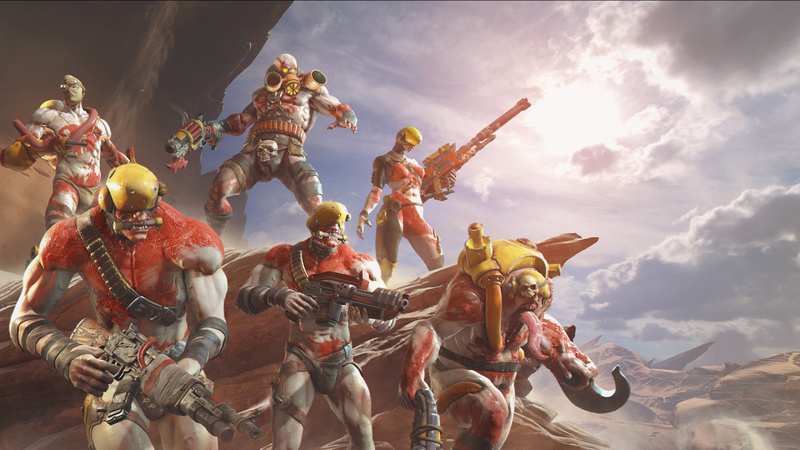 Doldren is a native to the Broken Planet, but unlike Harec or Iune who reluctantly abandoned their people’s peaceful ways to take arms against the Terran invasion, Doldren’s unquenchable thirst for blood marked him as a monster among the culture that gave him birth. 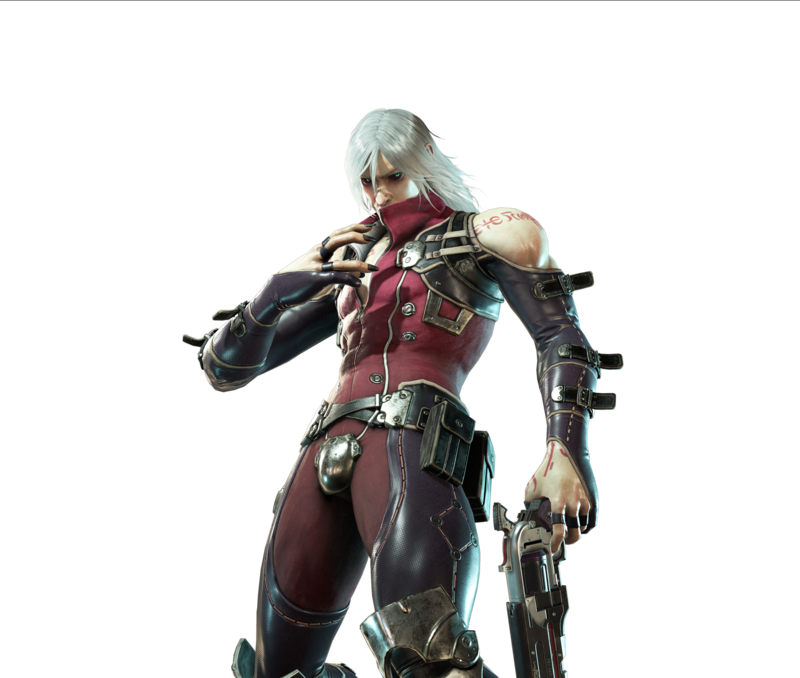 Doldren’s talents reside in his ability to ambush enemy forces, projecting his essence and rematerializing his body near unsuspecting foes, making short work of them with high-calibre revolvers or dealing the killing blow with his own hands. Doldren prides himself of using exclusively weapons of the highest quality, for any lesser tool of death would only detract from his murderous arts. His default gun, the KLT-13 KLT Corp is a state-of-the-art revolver with 4 firing pins with the stopping power of a sniper rifle. Ginebra is equipped with the “Sabretooth” Model Chassis. When she adopts her Cougar form her movement speed is dramatically increased, even allowing her to run over walls and small obstacles. As a high-ranking unit of the Fifth Council, Ginebra has access to all kinds of experimental weaponry. She seems to enjoy testing her ballistic skills with the Sturzenegger Bogen C-A00 crossbow, loaded with deadly transmission bolts. The Konstantin unit malfunctioned. 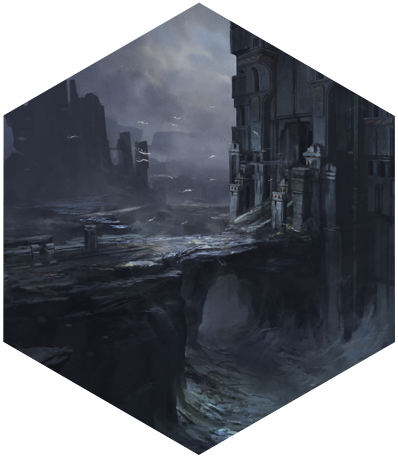 It hesitated just an instant, but it was enough for the family hiding in the ruins of Sariss Vaga to escape. 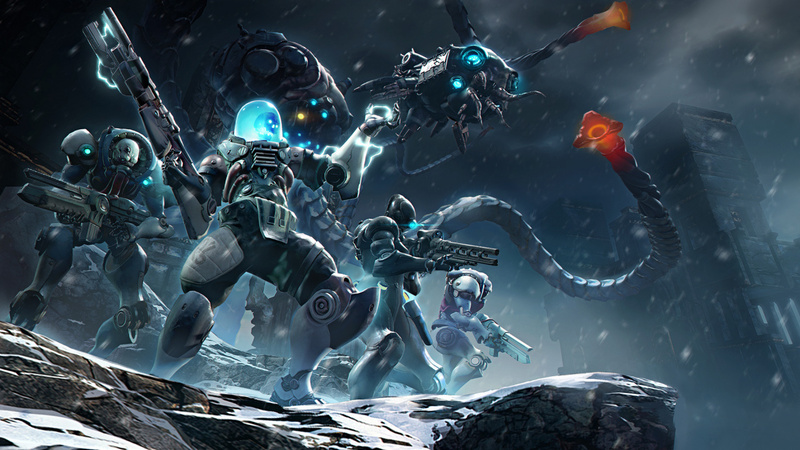 Council units are not allowed to fail; the Hunter units are responsible for eradicating them when they do. The Konstantin unit did not survive this encounter, but Konstantin the human did. Over time, Konstantin rebuilt his body and his humanity, free at last from Council control. Konstantin creates a repulsion sphere around him that expels enemies and keeps them floating within the sphere’s area of effect. This area will stay in a specific location for a limited period of time, but it can be dispersed by shooting at its core. After creating this repulsion sphere, there is a cool down and Konstantin will have to wait a few seconds until he is able to create a new one. 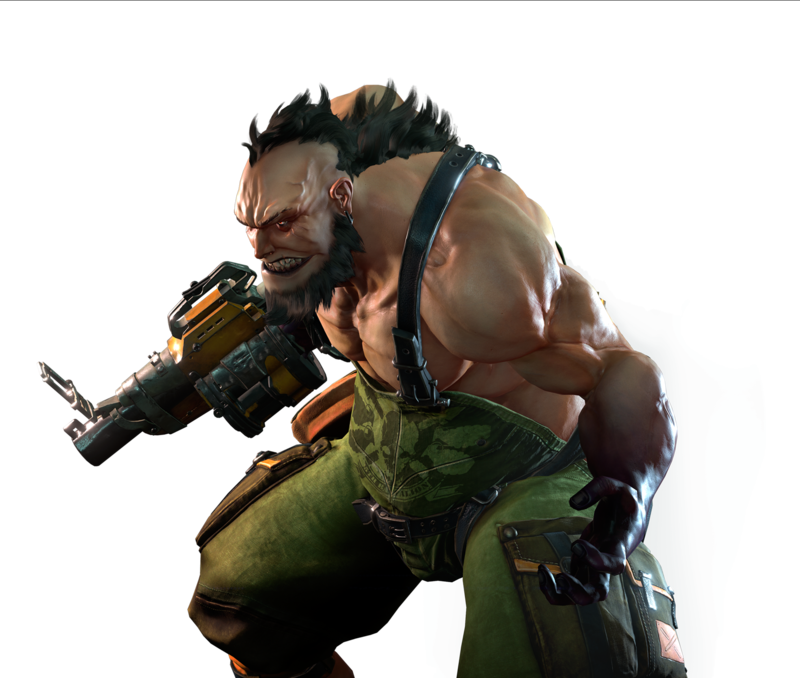 Konstantin uses Gatling machine guns with a high rate of fire, supplied continuously by a large belt of ammunition. The Gatling’s multi-barrel must be spinning at a specific speed in order to start shooting (it can be spun by revving the shooting trigger without aiming). When the barrel is at its maximum spin velocity, it will start to heat up. If the weapon overheats, its rate of fire will slow and coverage will become imprecise. Valeria Robespierre… just saying that name can cause waves of panic in many parts of the Universe. 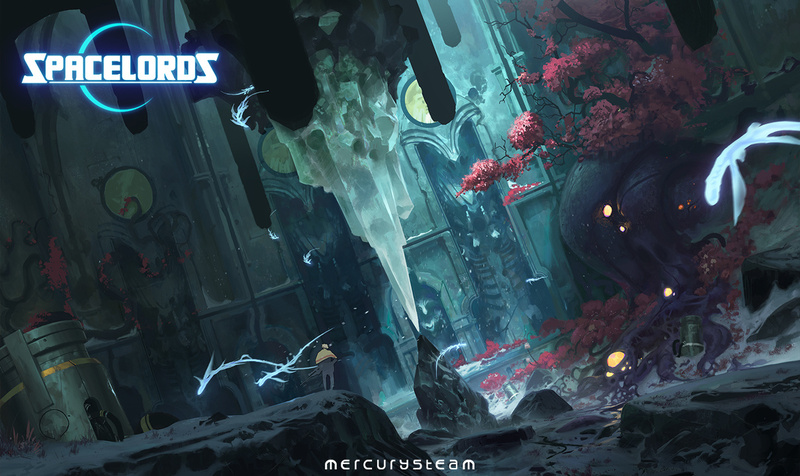 Heir to an immense legacy of riches and power, Valeria is the daughter of a wealthy patron who is financing the expedition to the Broken Planet. Using her vast family fortune, she designed and custom built this new powerful combat chassis to protect herself from the planet’s many dangers. Inspired by her beloved collection of dolls, this suit's sole purpose is to deal a whole world of pain to any who dare cross her. Valeria can open an Einstein-Rosen Bridge capable of emitting quantum projectiles with extremely high latent energy. When that energy collides against an energy beam fired from Robespierre’s cannon, the resulting deflagration annihilates everything unfortunate enough to be caught in the blast radius. Just like Valeria likes it. 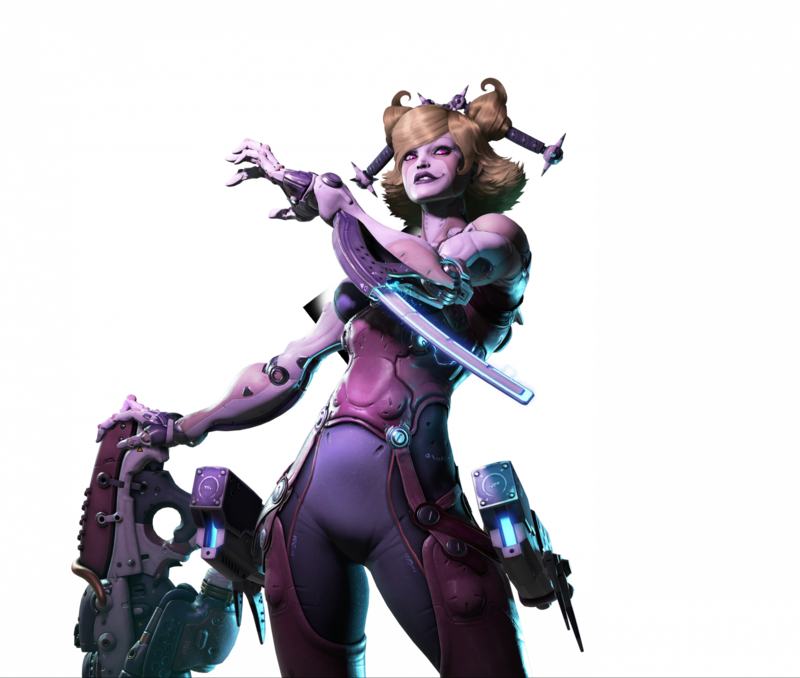 Valeria’s weapon of choice is the micro-vector cannon, firing energy beams capable of interacting with matter and with Valeria’s quantum projectiles. If one of the beams hits a living being, it causes severe energy burns. But if it hits a quantum projectile, it will trigger an energy reaction in all particles within its range. The result will be a devastating large-calibre explosion. Dr. Pavel Kuzmann was going to die; the degeneration of his tissues was irreversible. Obsessed with surviving, Kuzmann conducted all sorts of unnatural experiments on his body. He finally achieved a parody of immortality, keeping his head in a cryogenic capsule connected to a redesigned Blitz Krieger K4 combat body. A Strom Zeugen electric turbine with four alternators provides the energy required to operate the Blitz Krieger. 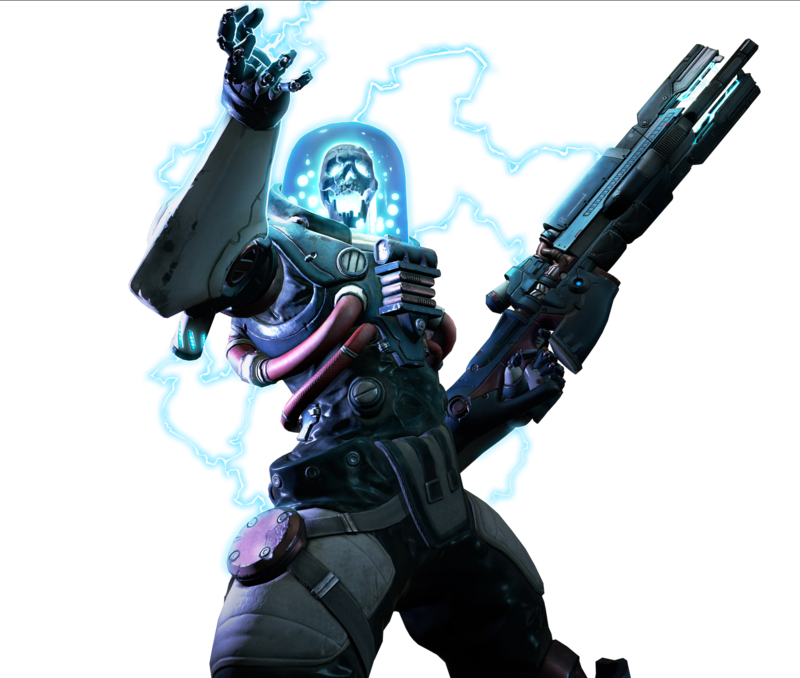 The Doctor’s Blitz Krieger K4 combat armour can accrue residual environmental electromagnetic energy and release it in the form of a violent shockwave. 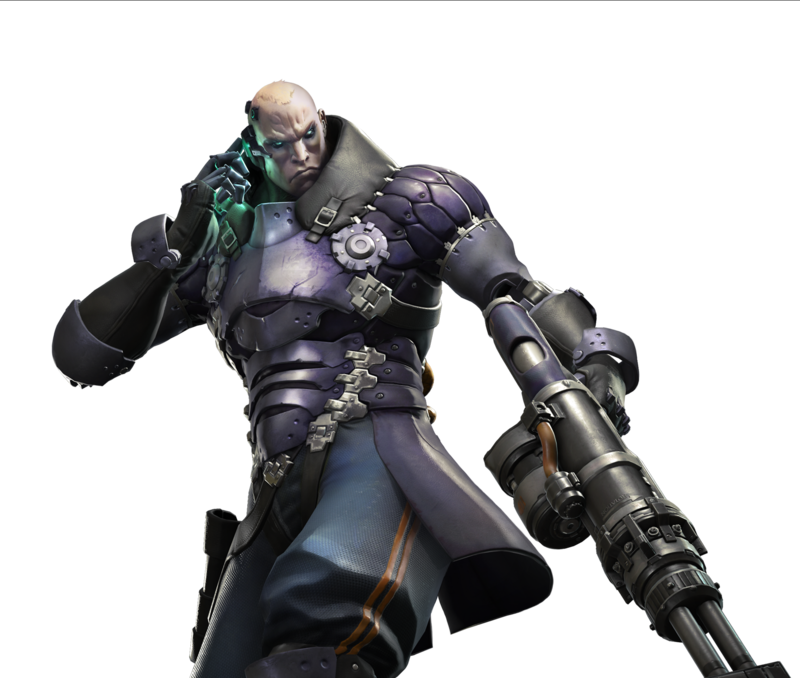 Kuzmann uses this ability to deny enemy transit areas and protect himself from close quarter attacks. Dr. Kuzmann favours lightning rifles, like his Licht Speer AA-1, that can deal sustainable damage to large groups of enemies. Though they lack the stopping power of single-action sniper rifles or shotguns, the lightning rifles can deal a constant amount of damage from short to mid-range distances. It seemed like a good retirement: a cook at outpost 31-Southwest. Until the Wardogs attacked. Hans took command into his own hands when Third Platoon fell. He donned his flight suit and dusted off his Jetpack once again. The hero of the Tarsis Unna revolts was back! The Platoon didn’t lose another man that day, although they ultimately lost the outpost. Looking for a scapegoat, his superiors blamed him for the defeat and threw him out of the Hades Division. 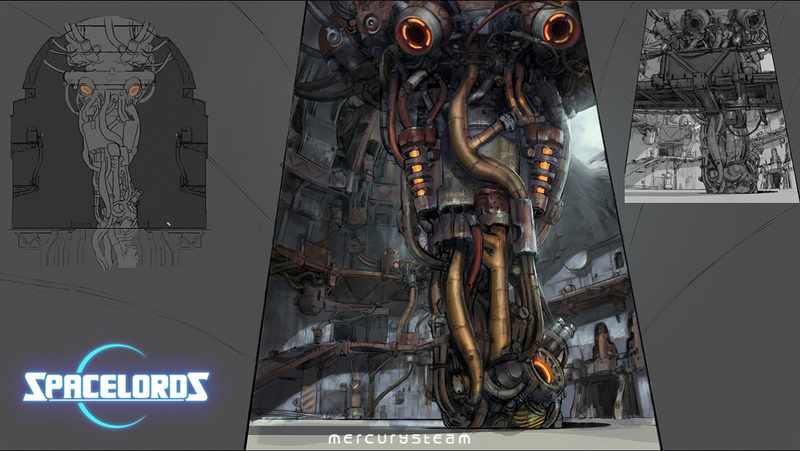 Hans favours mid-range heavy machine guns, as they make a good combination with his jetpack. His use of explosive ammunition helps seeding confusion among those enemies who managed to survive a direct hit from his barrages. “The most feared pirate in the seven galaxies", "Captain of captains", "The Flame"... Ayana is known by many names, all hard earned throughout her career. Originally from a poor land without much of a future, Ayana left at a young age in search of a better life, but she never forgot her roots. Today she is the captain of the Requiem, a space ship both respected and feared on a thousand planets. Ayana specializes in ship-to-ship boarding actions, and she has upgraded her combat uniform to include a boarding wire that she uses to trap her enemies, leaving them defenceless in the process. Ayana’s weapons are state of the art mortar rifles, using cutting edge pulse technology to fire self-propelled proximity mines. Ayana developed a fearsome reputation in boarding engagements where she used her mortar rifle to clear the deck of enemy elements before storming the bridge and taking the enemy ship. Glib, wild, undisciplined and irreverent. Lycus Dion is a fury unleashed on the battlefield, and you do not want to be on the enemy side. The origins of this Raider are shrouded in mystery. Rumor is that he’s been seen in many wars over the centuries but that doesn’t seem possible, unless… Lycus Dion is immortal? Lycus prefers short distances in order to get up close and enjoy his victims’ face of terror. He is a melee fighter by nature, resistant and ferocious. He has a variable-angle kinetic shield, to protect himself against enemy fire, that is recharged by running. 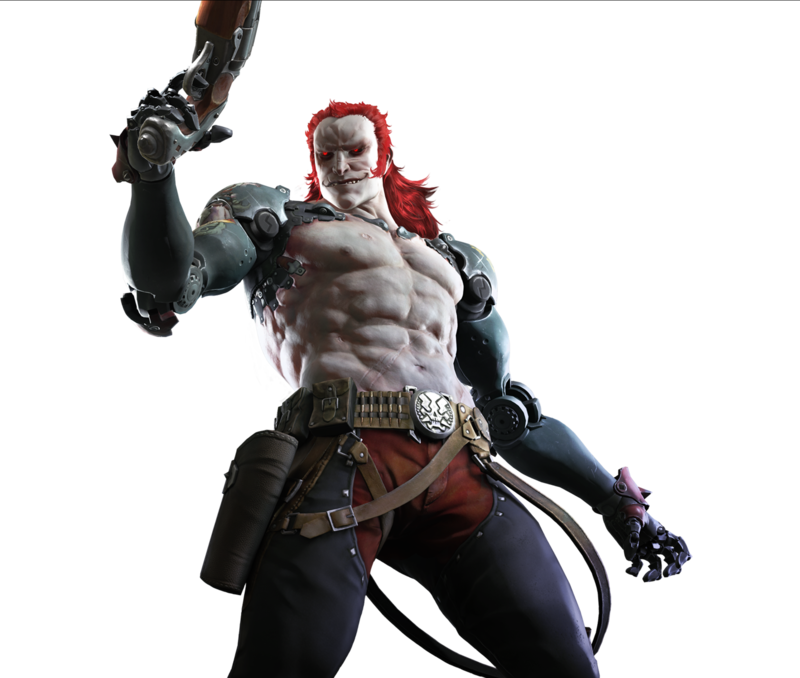 Lycus uses short-range shotguns with devastating damage potential. The high dispersion makes the shotgun optimal over short distances because it does not require any real accuracy. However, the barrel is limited to few cartridges, so you have to constantly reload. Traveling as a stowaway, Mikah always had exciting adventures, and she'd earned enough dough to last her for a while. 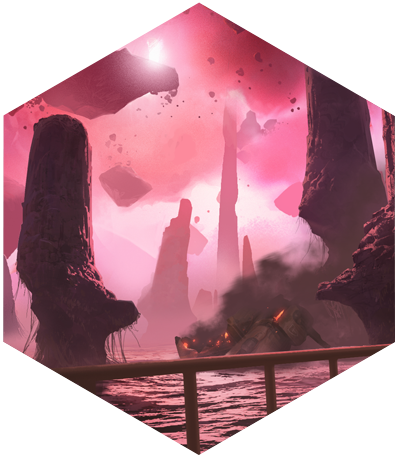 What Mikah never imagined when she sneaked onto the Hades Division's transport craft "Espanto" was that she would end up running aground in the furthest confines of the galaxy, mixed up in a fierce war between factions. No problem. If there was one thing that Mikah did well, that was surviving. Equipped with her "Echo" holograph device, Mikah would not only make it out alive, but she’d get out very rich too. Mikah uses a holographic projector to create a copy of her own image, a decoy that attracts the attention of her enemies. Mikah can switch positions with her holographic doppelgänger at any time, sowing confusion among enemy ranks, and allowing her to slip out of tight spots unnoticed. Mikah’s weapons of choice are the old, yet reliable automatic rifles. She has obtained most of her arsenal through payment for various black market deals. The high rate of fire of these weapons is fearsome in short to mid-range combat. However, over longer distances they are less effective. Know-it-all, rude, bratty and far too smart for his own good... Schneider doesn't give a damn what they call him, because he considers himself the future! 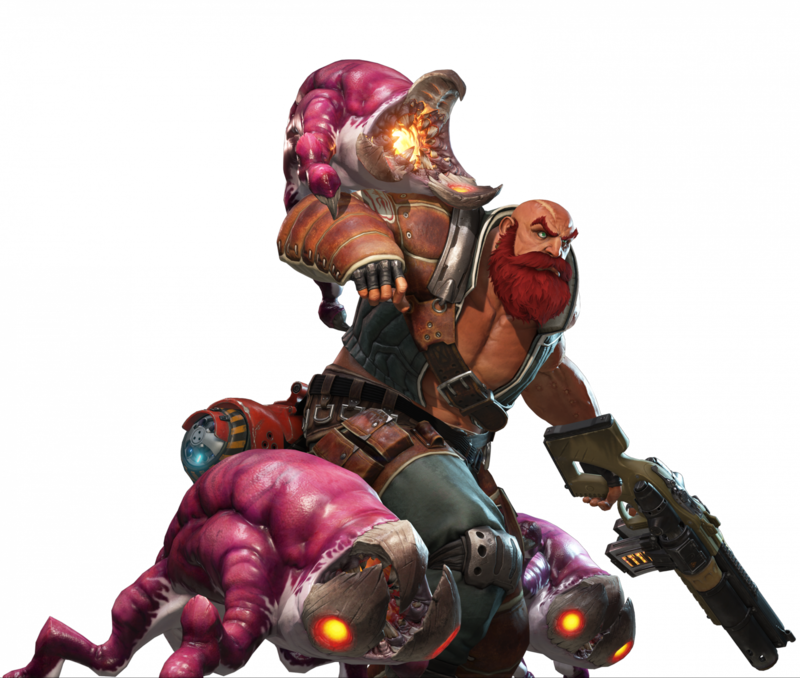 Everyone else are just trained monkeys on the verge of extinction, so hacking the Broken Planet’s ridiculous technology for the Hades Division was a piece of cake. Schneider built his SCHN31D3r drone when he was just 14 years old. 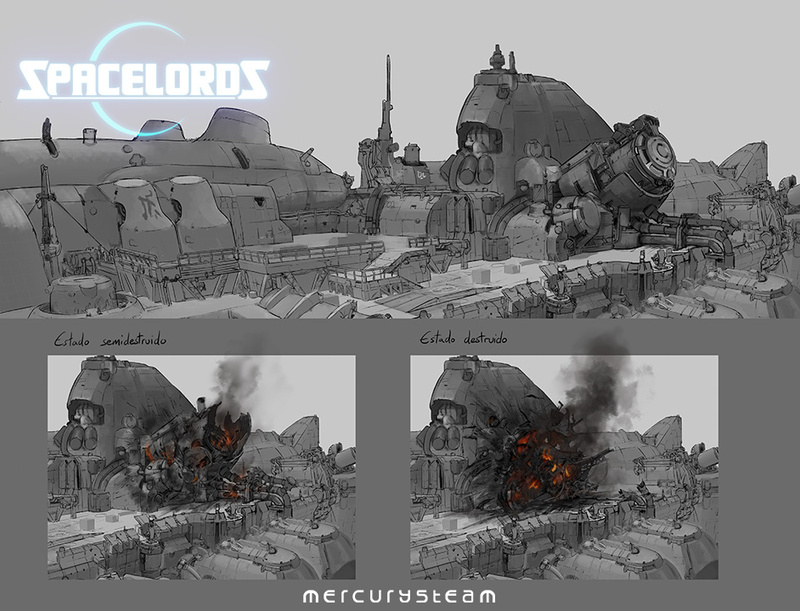 The drone is a portable, highly mobile artillery platform, able to deploy incredible firepower to bring down even the toughest adversaries, and Schneider finds it quite amusing luring his enemies close with his “colourful” banter just to watch them crash and burn in a deadly crossfire. Schneider's weapons of choice are light pistols, as he’s hardly able to carry anything heavier than that. 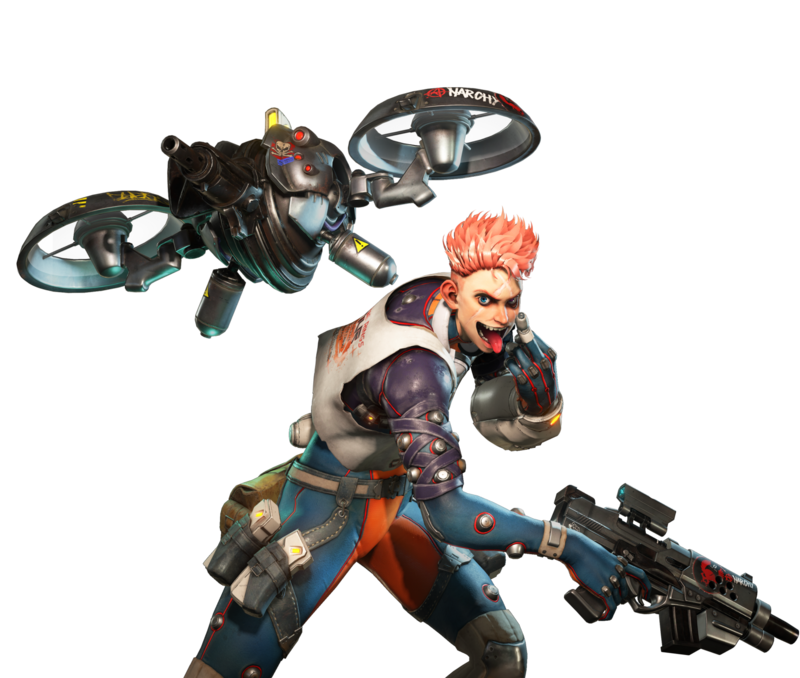 But even though his sidearms don’t pack a lot of punch, Schneider has linked their holographic sights to his drone’s targeting systems, directing its fire personally in order to mow down his enemies. Aneska survived her fall from grace. After waking up among the wreckage of the orbital weapon, she tried to find General Krausher. And she did… after a fashion. For weeks, she wandered through the desert, completely alone, until the night her mech returned to her, damaged but still loyal to its master. It was changed, the way this planet’s strange energies change everything they touched. Reunited with the only being she had ever trusted, Aneska decided it was time to take her destiny in her own hands and, for the first time in her life, fighting for a cause of her own choosing. Aneska can call upon her mech for support. This fearsome war machine can act as a deployable artillery platform, firing a punishing missile barrage upon the targets Aneska marks with her weapon’s flare-launcher attachment, or as close combat support, annihilating hordes of enemies with its powered blade. 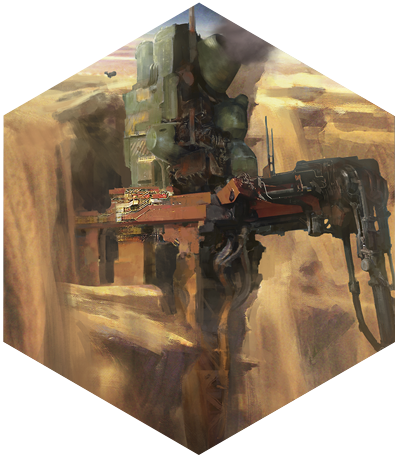 Powerful as it is, the mech consumes great quantities of energy, that needs to be replenished before it can be called upon again. As the highest ranking elite operative of the Hades Division, Aneska had access to experimental weaponry of immense destructive power. 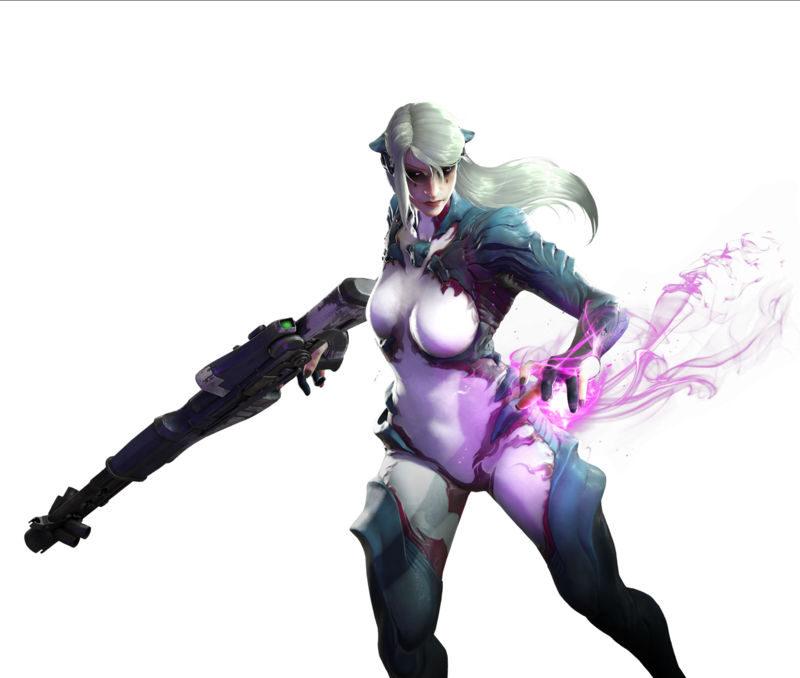 Her favoured rifle, the Atlas G-620 , fires energy shells that explode after impacting the target. The prototype was discarded for mass production because it required absolute precision to avoid friendly fire incidents, but Aneska secured it for her own use before it could be destroyed. Alicia and her friends admired General Marmalade and enthusiastically embraced the addiction to Aleph plasma that he proclaimed. But one day it went too far and Alicia decided to leave the General. When she went back for her friends, she was assaulted by a horde of Aleph-fuelled, subhuman abominations who got in her way. When it was all over, she realized she had killed what was left of her old comrades. Alicia has superhuman agility. She can perform incredible leaps and jumps, propelling herself from walls to great vantage points. She is able to gain considerable height by performing several jumps in a row, allowing her to access out of reach places. Once she is in the air, she can slow her fall by aiming her weapon, allowing her to spread chaos beneath her. 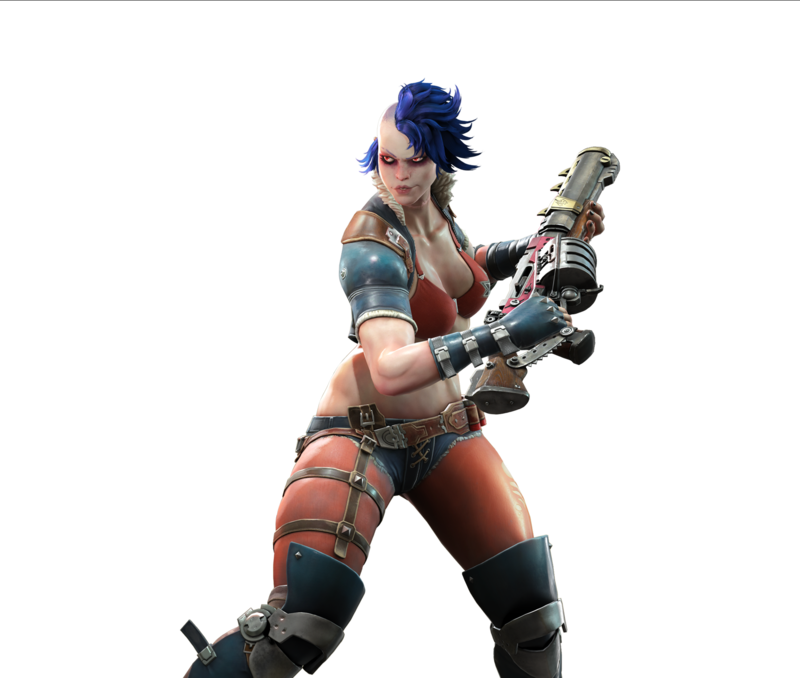 Alicia uses repeating shotguns. They have a severe lack of accuracy, but a high rate of fire. Shots have a wide dispersion too, making these a fearsome mid-range weapon that doesn't require much precision but can deliver devastating short burst damage. Loaht has very little patience, and when he loses it, those near him die. General Marmalade’s experiment’s on Loaht stirred something primitive and brutal inside him: a pain-fueled creature with an insatiable thirst for blood and unspeakable strength. 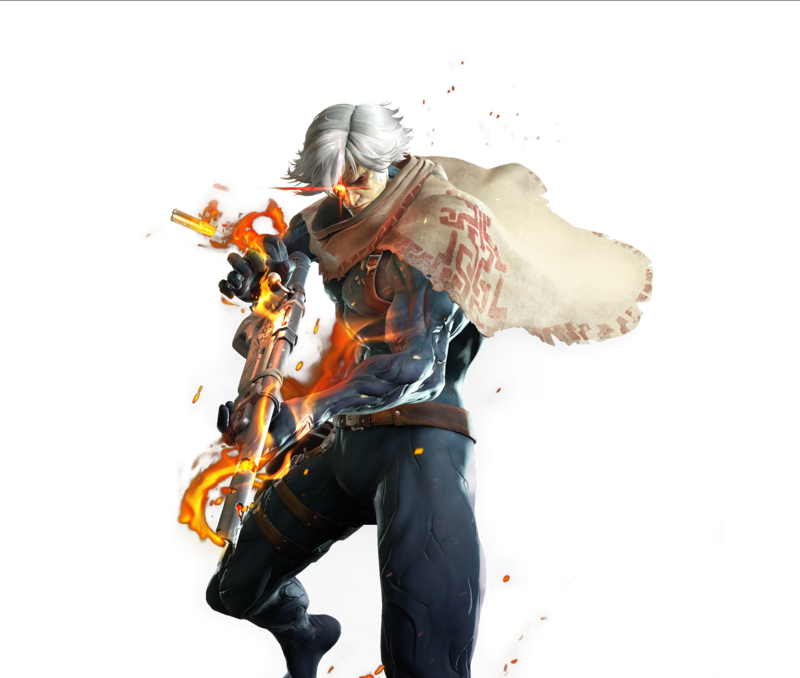 As Loaht receives damage, his other self becomes stronger and fights to emerge. Loaht hates when “the other” takes control, not because of the piles of bodies he leaves in his wake, but because of the migraine he suffers when he returns to his normal state. 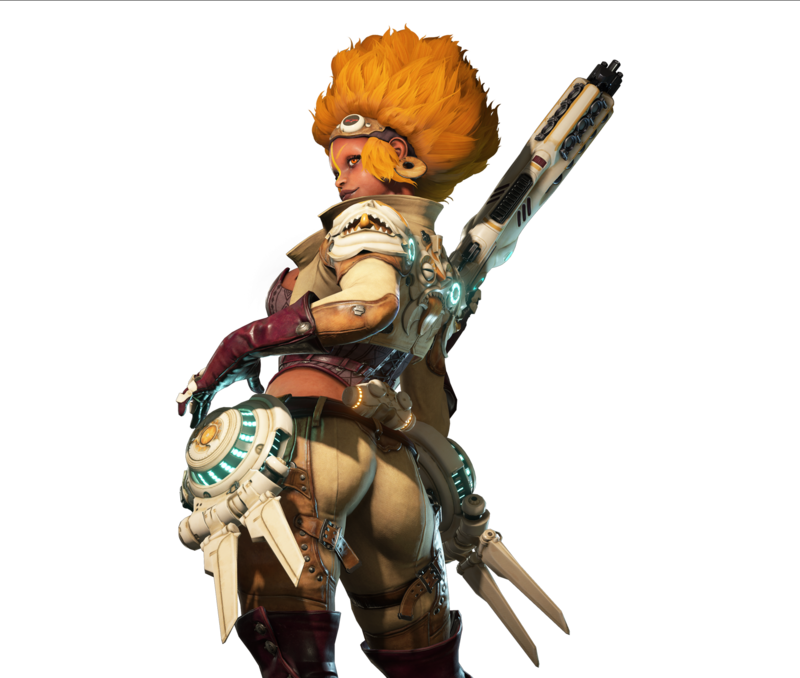 Loaht’s weapons are an extension of his own personality -blunt, powerful, and loud. He usually takes the field with a selection of heavy grenade launchers, like the M25. The M25 fires 52mm double-layer grenades, each layer of shrapnel is activated sequentially by a two-stage detonator resulting in a lethal explosion. Rak Mayura is the most feared hunter in the galaxy. Rak has been living surrounded by mortal danger all his life. Single-handedly, he has hunted the worst monsters in the galaxy, and enjoys raising his own breed of lethal creatures to aid him in his hunts -who he calls affectionally his “Pishachas”, Inspired by the folklore of his Hindu roots. Now he and his Pishachas are facing a new challenge on the other side of the galaxy. Rak fights alongside a pack of deadly Pishachas. They are trained to seek and destroy their master’s enemies. 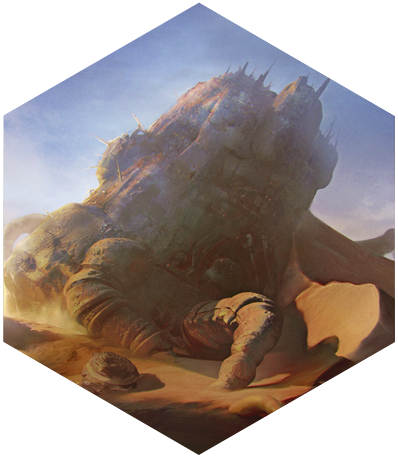 Following the trail they leave behind allow Rak to move much faster, and the fallout they leave behind after their immolation has healing properties for him and his allies. Rak has a preference for hunting heat rifles, that he modifies to chamber magazines full of Pishacha larvae. Once fired, the immature creatures explode upon contacting the enemy. The result is a really powerful, if unpredictable weapon, ideal for dealing with massed ranks of rivals. 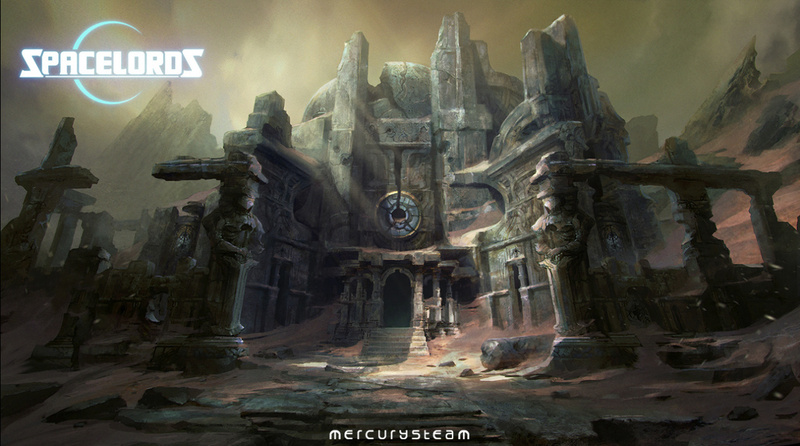 The Umbra Wardogs awaken a violent creature in the depths of the old Uddas Nassar Temple on the Broken Planet. With blood and sweat, they manage to capture her and take her to General Marmalade, who decided to use her as a weapon. But one day, without warning, the creature broke the chains and escaped, disemboweling anyone who tried to stop her. Nobody knows about H.I.V.E.’s origins, nor why she chose to join Harec’s Raiders and their rebellion against the invading humans, but there’s no doubt about this creature’s lethality. H.I.V.E.’s body is host to an insect colony that lives in constant symbiosis with her. Lured by her pheromones, they feed upon H.I.V.E.’s enemies, leeching their life away, then returning to her when there is no more to take from them, leaving nothing but empty, lifeless husks behind. H.I.V.E. 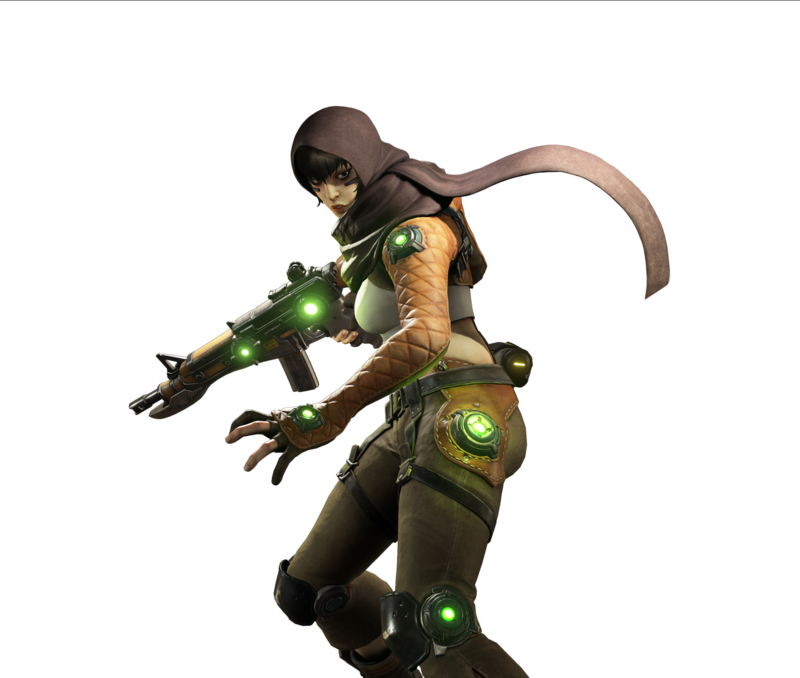 infects every weapon she touches, like the Novera S1-1 assault rifle, using them to impregnate enemies with pheromones. Then, the insect colony inhabiting her body, attracted by those pheromones, leeches away all the target’s life, returning to H.I.V.E.’s body and replenishing her own health. 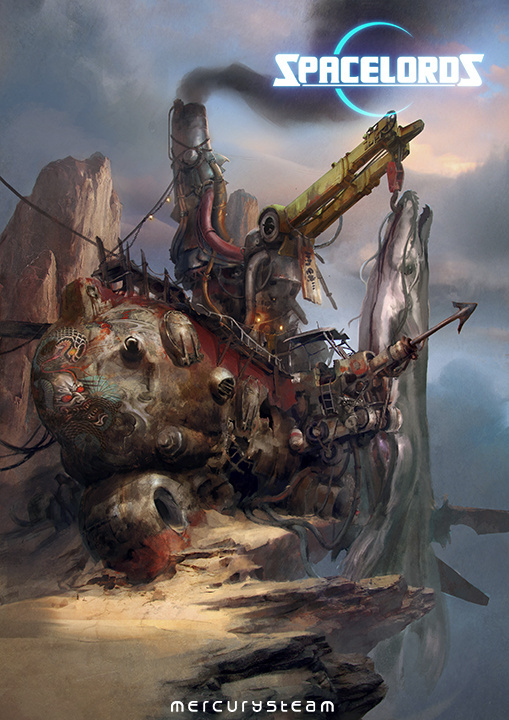 The indigenous peoples of the broken planet renounced technology and all forms of war when their world was tragically destroyed a millennia ago. Instead, they use the Aleph to heal and protect themselves, preferring a simple life in the pursuit of harmony, peace and the welfare of others. Long ago at the pinnacle of their knowledge and technology they discovered Aleph, a powerful substance that could enable them to control the cosmos and attain a higher level of being, however, due to their greed and lust for power they drilled to the planet's core in an effort to retrieve the very source of the Aleph but instead shattered their home world. Realising their true path they banished those who would use this power for ill, little knowing that those banished peoples would sow the seeds to mankind’s origin. Now it is that seed that has returned to haunt them and potentially... destroy them. 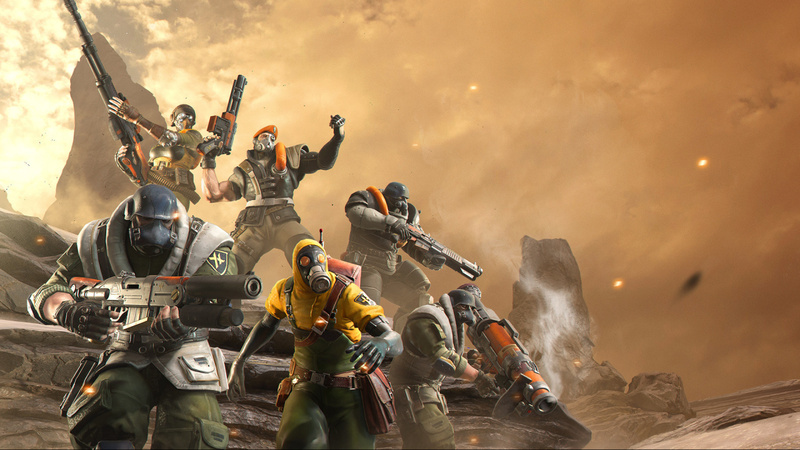 The Hades Division is a private army of ex military forces from Earth led by General Krausher. Krausher is a decorated war hero, but regards himself as a natural leader and wants nothing more but to rule over others. He has assembled the ultimate army of grizzled war veterans and talented special forces operatives who have skills and abilities that have allowed them to stand out as exceptional individual military fighters. He wins the trust and respect of his men with his charismatic persona and passionate speeches, but inside he is a cold, calculating megalomaniac intent on ultimate power through military force and represents perhaps the biggest threat to peace and stability in the universe. 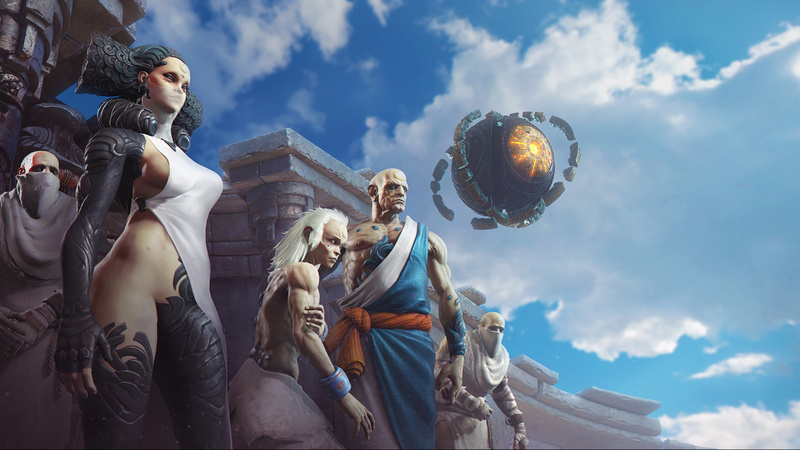 The Fifth Council are augmented cybernetic humans originating from Saturn and its numerous moons who have embraced the amalgamation of human and technology in an effort to create the perfect hybrid. Many Fifth Council members see this as a natural evolution of humankind and see no boundaries to the level of integration that can exist. 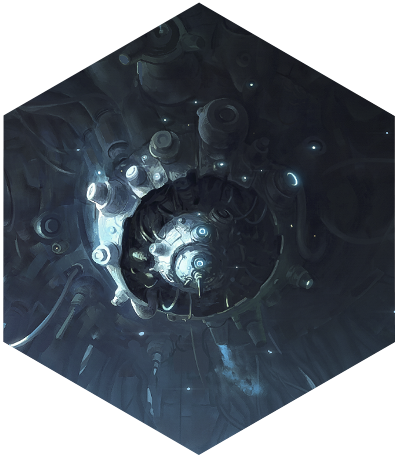 The Fifth Council is looking to gain control over the Aleph using mind control to locate the so-called Protectors, High Priests who have knowledge of the original tech from the ancient time including Aleph fusion drives and weapons of tremendous power. The Umbra Wardogs are a loose coalition of Martian mercenaries & bounty hunters led by General Marmalade, a ruthless criminal mastermind and dealer in narcotics of any kind. Marmalade believes that man hasn’t reached anywhere near his full potential yet and see’s substance abuse as a way to expand the mind and consciousness beyond what is possible. Marmalade see’s Aleph as the ultimate substance to change him from ordinary man to all powerful Demi God, destined to rule over others and woe betide anyone who should stand in his way. Charismatic and yet ruthless Marmalade cares little for his Wardogs and more about using the Aleph to his own ill gotten ends. 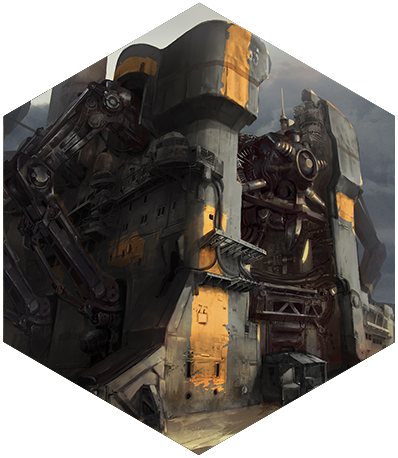 "Located deep in the desert, this small outpost is well out of the way of prying eyes and the perfect hideout for the operatives of the Hades Division. Various ships and transports come and go, usually with valuable cargo or prisoners, but security is lax and vulnerable to infiltration." The ship’s top deck makes an excellent extraction point for the team, but no one saw the Wardog ambush coming. Instead of escaping, the Raiders see an opportunity to destroy both ships in one move. All they need to do is blast their own path down to the engine room and overload the Aleph engines, causing an explosion that will destroy both ships. 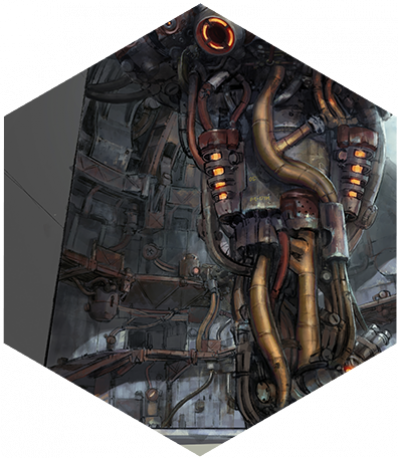 Once in the engine room, the Raiders have to overload the Aleph engine generators to cause a chain reaction that will blow the ship apart. Watch out for the elite troops there, they won’t think twice about pummelling your face to a bloody pulp. Engineers will try to reverse the damage you are doing too, so make sure you take them out or it will all be for nothing. The scarce legacy of the Old World that founded a precarious sanctuary among the Ruins of Kish. 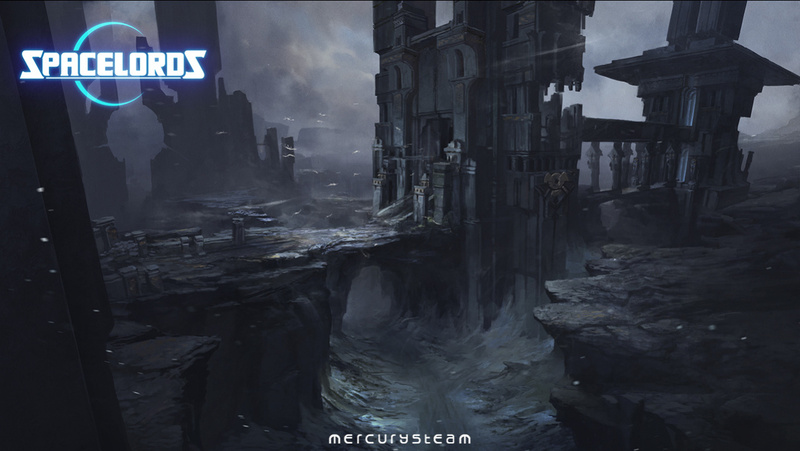 Formerly a sacred place of pilgrimage for the devoted among the Broken Planet’s natives, now it stands defiled by the Human invaders’ greedy hands, ever so eager to shed blood. 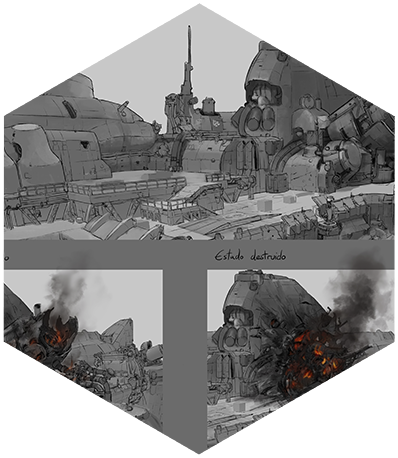 An open wound upon the tortured surface of the Broken Planet, the Hades Division established their main Aleph extraction operation there. Thousands of native prisoners work themselves to death in the mines, sifting millions of tons of sand for the tiniest scraps of Aleph. 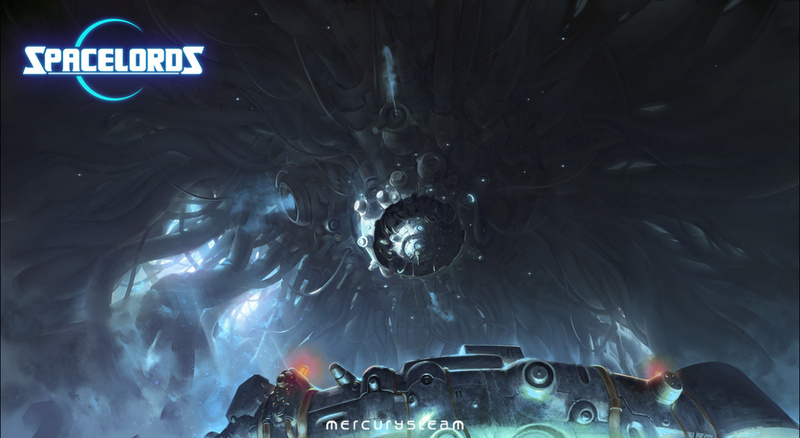 A half-forgotten legend of the Broken Planet tells about the Unremembered Caverns, the haunted place where the pariahs’ damned souls dwell after their deaths to be forgotten for all eternity. 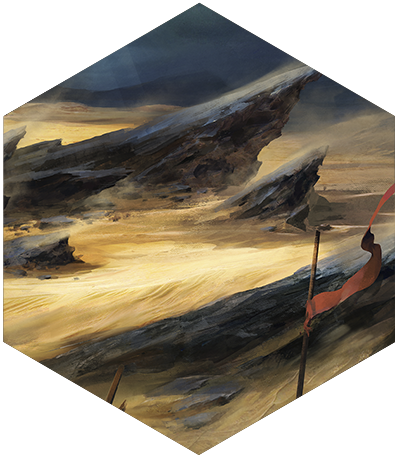 Now, it is just another battlefield for the Human factions to fight over, and exploit their natural resources. 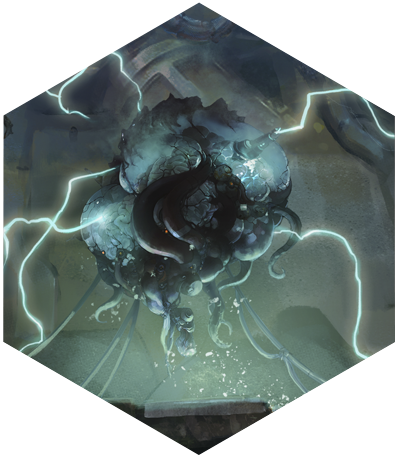 The legendary Lyra Sphere found its resting place in an ancient temple, burrowed in the depths of the Mourning Sea -a water mass with tides so powerful they receded for weeks on end before the cold, dark waters return to claim the eldritch ruins. 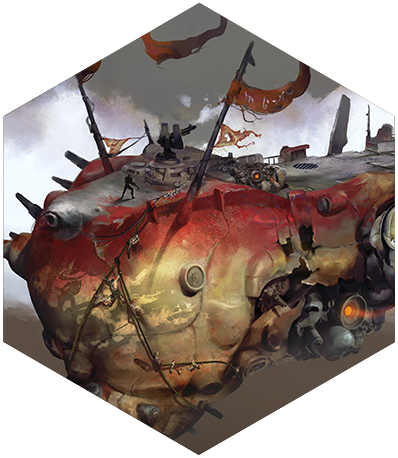 The Umbra Wardogs airships reflect the savage, bloodthirsty inclination of this Aleph-addicted faction. 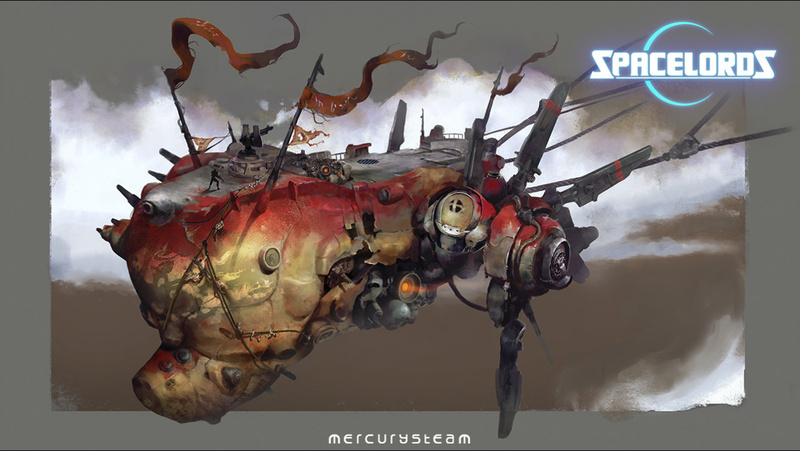 These ships are invariably bristling with weaponry and “decorated” with grisly trophies collected from the bodies of vanquished enemies. 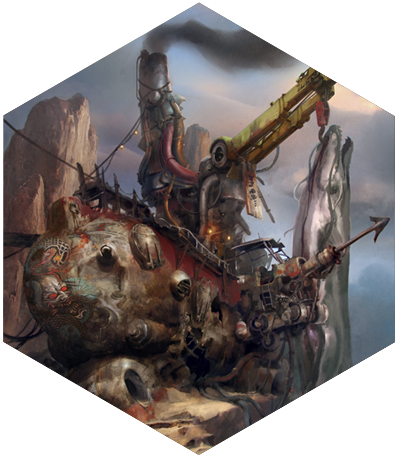 Their aggressive shapes and twisted hulls reflect the insane tactics these mercenaries favour -like ramming enemy ships before boarding them! 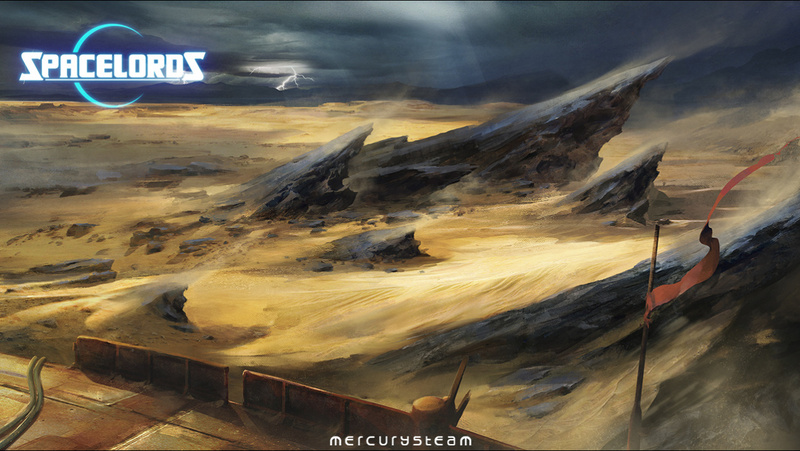 General Marmalade’s main supply line for his Aleph smuggling operations cross the desolate desert tundra known as the Ashen Expanse. Nothing grows there since the cataclysm that shattered the planet, and the winds forever carry the taste of ash on its currents. It is only fitting the Raiders chose this place to put the final nail on the General’s megalomaniac plans coffin. Ayana Kwena oversees the security detail of the main Hades Division Research Facility, where the Division test and improves their weapons and other critical Aleph-operated systems. 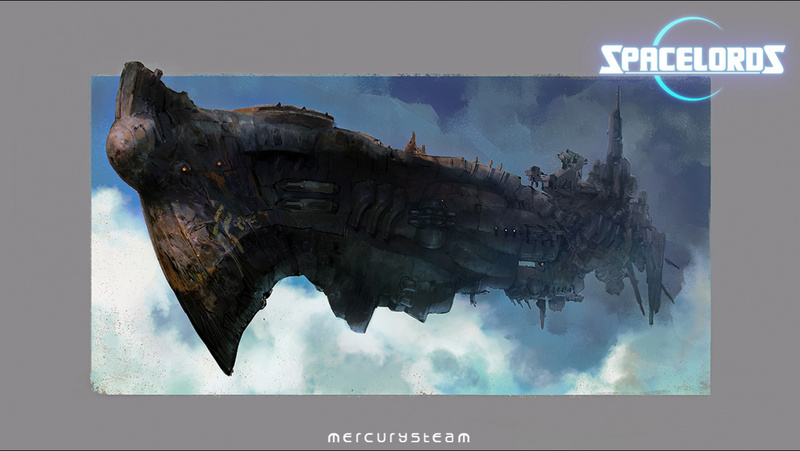 If the Raiders succeed in their mission to destroy this facility, Ayana will be left with no choice but to join Harec’s cause if she wishes to survive. 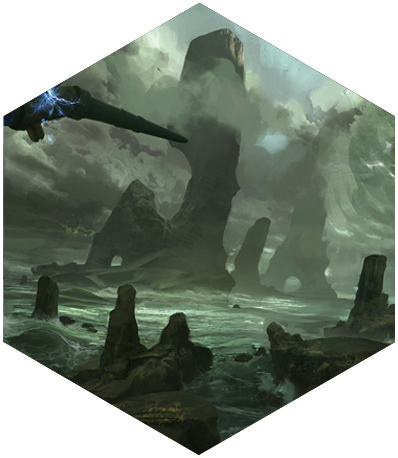 No other sound in the galaxy compares to the crashing tides of the Mourning Sea when they reach the coast. Even when you cruise over high sea you can still feel the rhythmic humming of the undercurrents through the ship’s hull. That never-ending murmur earned the sea its namesake. 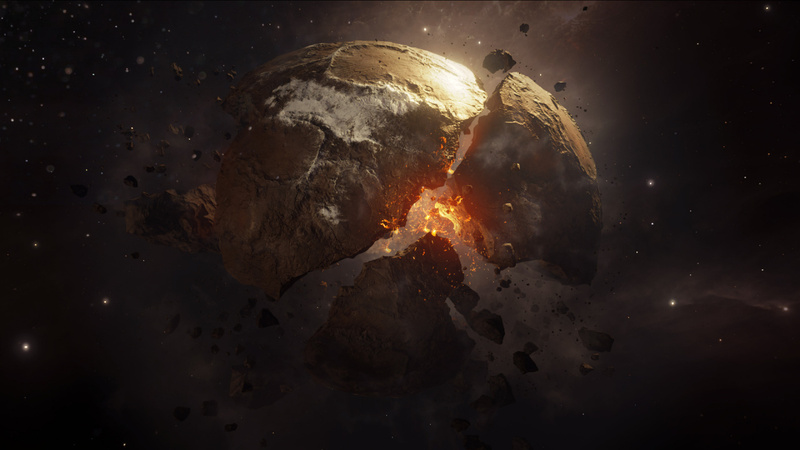 For the invading Terrans the Broken Planet is a fractured wasteland to further plunder from its remaining natural resources. It’s difficult to imagine the majestic beauty this world once possessed when so few and scarce spaces remain to remind us of the better, past times. 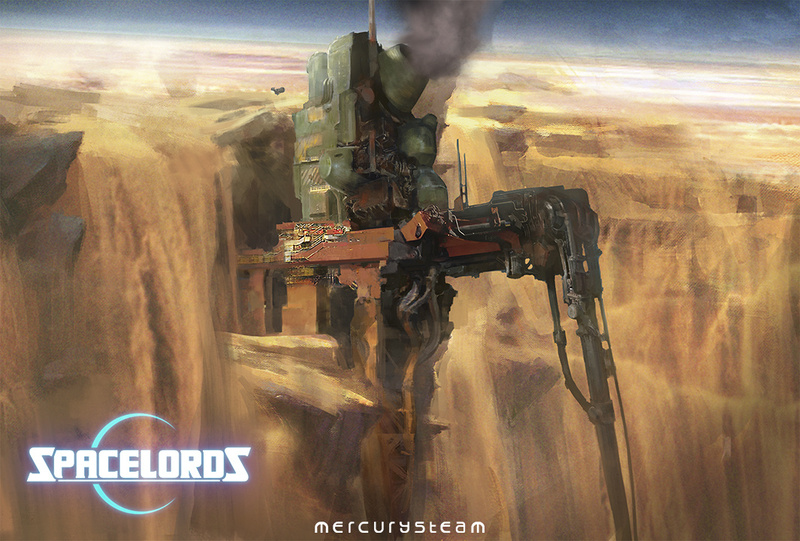 The Vagos Outpost, built upon the one of the most tranquil currents of the Mourning Sea, exemplifies the Fifth Council’s architecture deployed over the Broken Planet: coldly sterile, savagely functional and utterly oblivious to the environmental stress it puts on the world’s already precarious bionetwork. 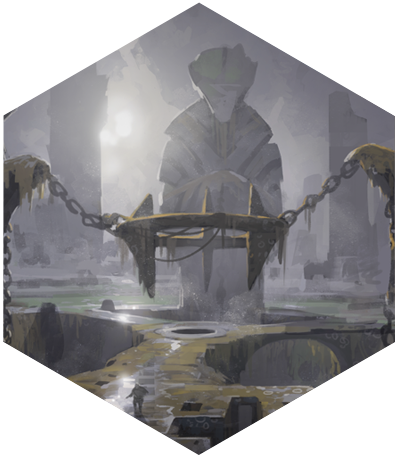 Its strategic value marks it as a prized target for the Hades Division. An intelligence network taken to its ultimate consequences. The Fifth Council engineered the perfect surveillance hardware, able to tap into the most sophisticated data network: the brain. Built as an amplifier to psychic abilities, the Nimrod can crawl into the minds of any living being and steal their most hidden thoughts. 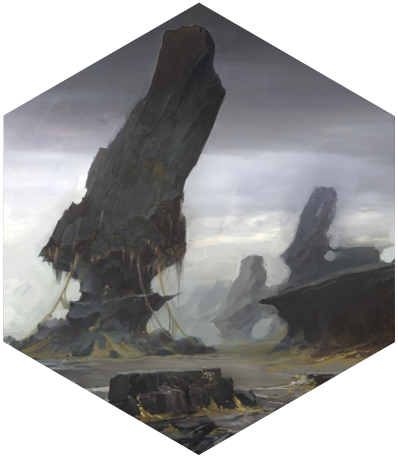 Brought down by a particularly tenacious Umbra Wardog hunting party, the Behemoth lies forgotten where it had fallen since the beginning of the War for the Broken Planet. 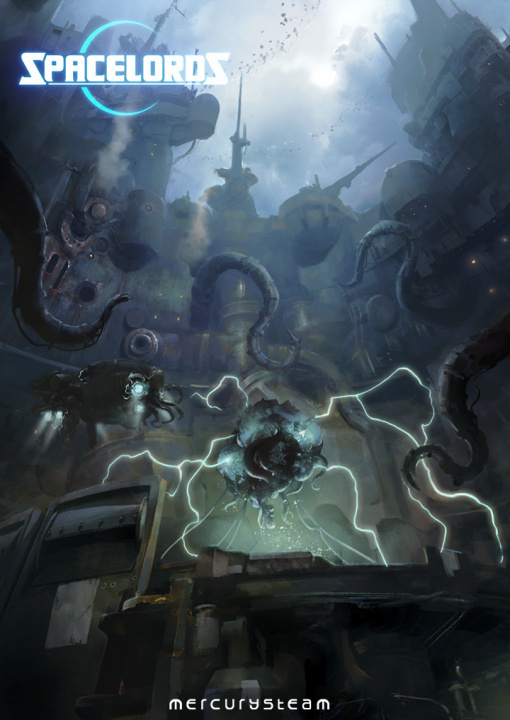 Nobody could suspect that among its shattered corridors and ruined bulkheads, a back door remained that could put an end to the Fifth Council’s ambitions once and for all. The Fifth Council’s Sancta Sanctorum. 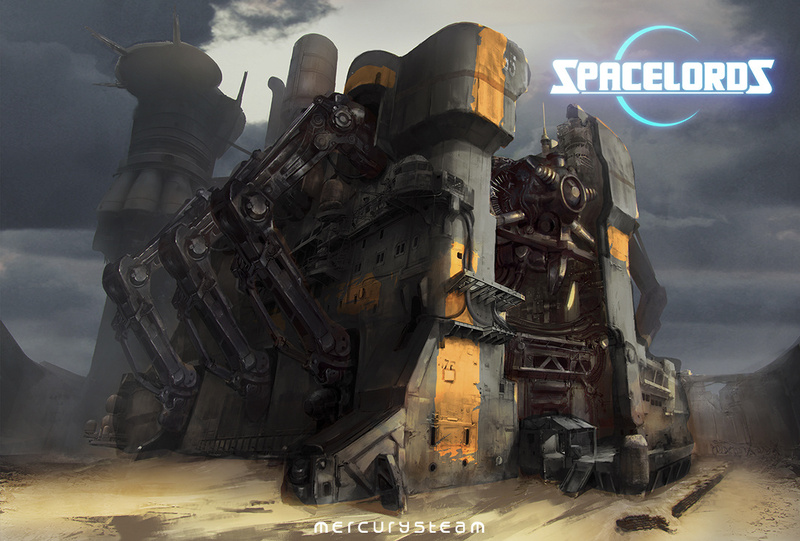 Secure under an impenetrable multi-layered security system, a gestalt of the most brilliant minds in the galaxy, utterly detached from their human origins, cogitate the most efficient way of stripping the Broken Planet, and all those factions who dispute its dominance, of all their resources with cold, analytical exactness.